Welcome to 52 Weeks of Thankfulness a day earlier. 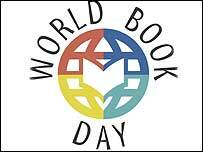 But today World Book Day is being celebrated in the U.S. Books have been such an enormously important part of my life that I had to combine my thankfulness for the gifts of writers with celebrating the years of joy reading has brought to me. Books have been my constant companion on this whirlwind we call life. Books have made me happy, brought me to tears, taught me life lessons and opened vistas of the world that I will probably never visit. Books have been the boon companion of my life and I am hugely thankful for whoever it was that put the first book in my hands and set me off on this lifelong love affair. This is a lovely idea, Bernadette. I have shared on twitter. I feel the same way about books-but you expressed it beautifully! and the verse by Silverstein is a favorite too. 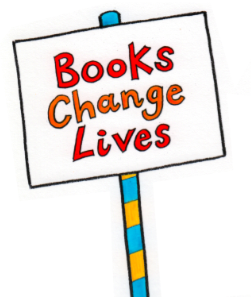 Happy World Book day…I’m the same and couldn’t imagine a world without books, many of which have taken me through hard times, others which have purely delighted me. This is wonderful tribute to Happy World Book Day, Bernadette. A belated happy World Book Day Bernadette. I just wrote a poem about books. Perhaps I could make 2 Thankfulness post. Here is one. Let me think about how to do the post about books. Hi Bernadette, this is my poem on books.